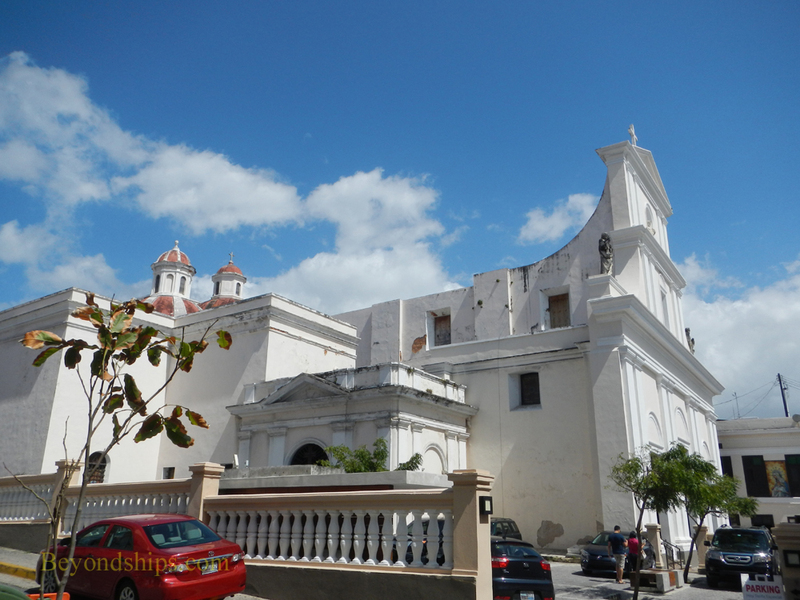 Begun in 1521, the Cathedral of San Juan is the second oldest in the Western Hemisphere. 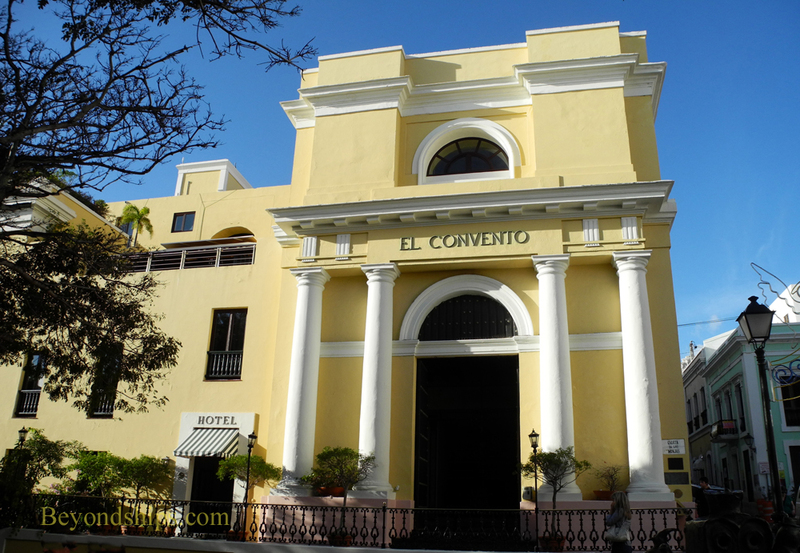 It is Puerto Rico's most revered religious landmark. Inside is the tomb of explorer Juan Ponce de Leon who was also the first governor of Puerto Rico. It also houses the mummy of Saint Pio, a Roman martyr. The Cathedral was done originally in the late Gothic style and elements of that style can still be seen in the vaulted tower, the ceiling and in other parts of the Cathedral. However, the Cathedral, including its facade, was re-done in 1852 in the Neo-classical style. Across the street from the Cathedral is one of the city's best known hotels. A Carmelite nunnery occupied the site from 1651 until 1903. Then, the building, which is from the mid-nineteenth century, was put to a variety of uses including as a flophouse. In 1959, it was transformed into a luxury hotel, frequented by movie stars such as Rita Hayworth. Up the hill from the Cathedral is the Church of San Jose. 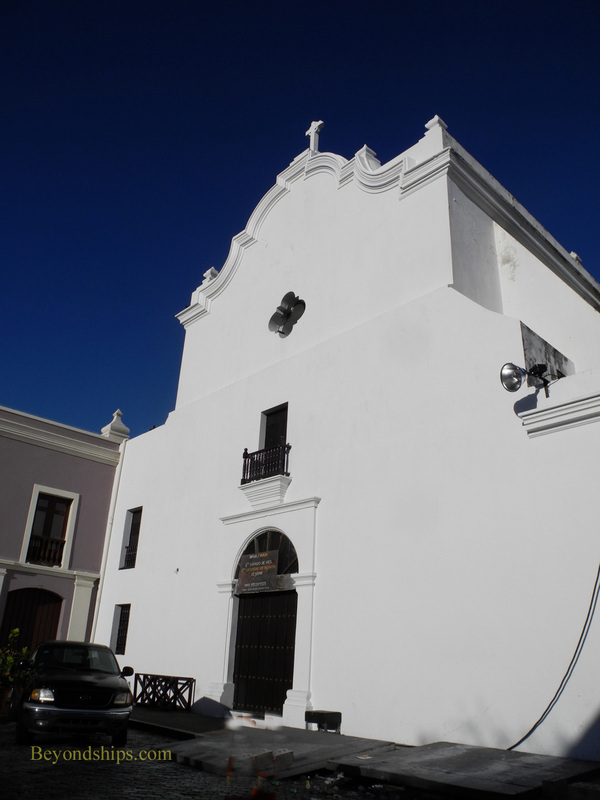 Built on land donated by Ponce de Leon, it was begun in 1523 as the church for a Dominican monastery. It is considered a fine example of Spanish Gothic architecture. 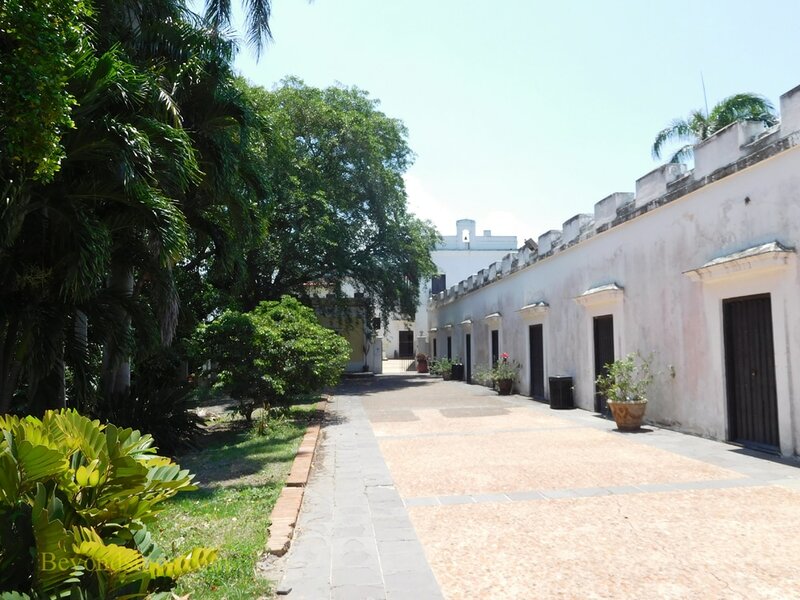 Immediately next to the Church of San Jose is a large plaza. 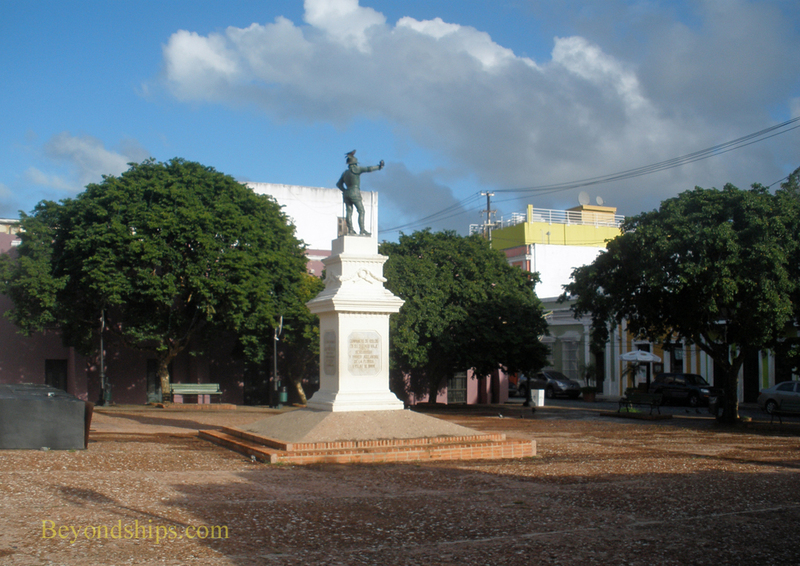 It is dominated by a statue of Ponce de Leon. 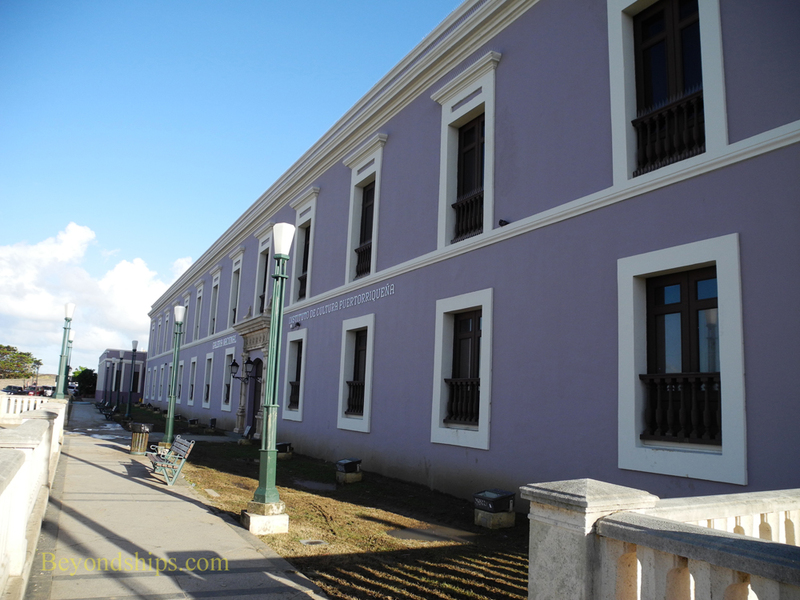 Located at one end of the plaza is the Museo de Casals, which presents the life and career of cellist Pable Casals. 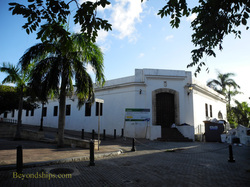 Also near the plaza on San Sebastian street is the African Heritage Museum, which looks at the influence of West African culture on Puerto Rico. San Sebastian street is also known for its lively nightlife. 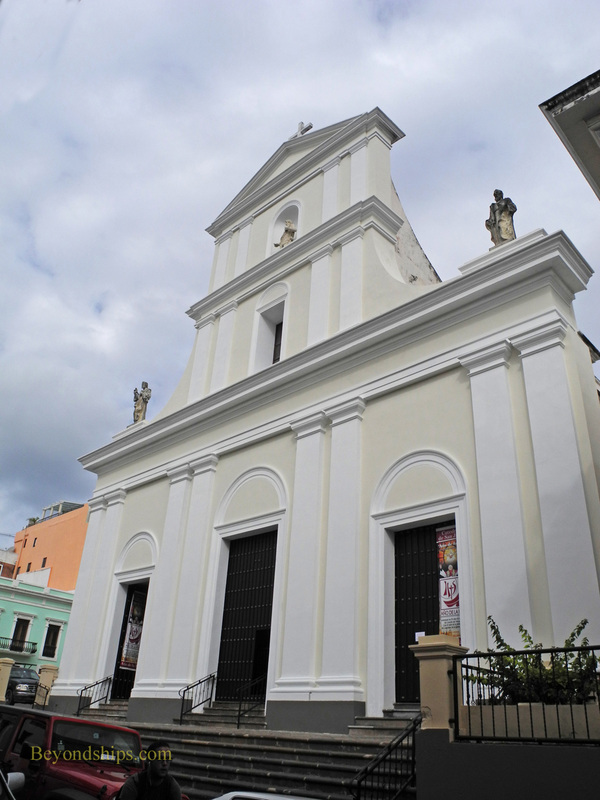 Next to the Church of San Jose is Puerto Rico's National Gallery. 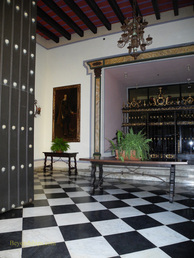 Housed in the former Dominican monastery, the gallery contains a collection of Puerto Rican art from the 18th century to the 21st century.